Today is Pi Day. So here is a Pi Day Puzzle. 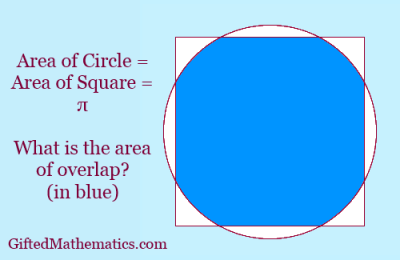 A square and a circle both have an area equal to pi. Their centres are at the same point. What is the area of the region of overlap? Also try the Pi Day Challenge.